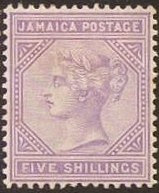 I'm initiating coverage of Jamaica with a set of high values which the British issued for their colony to celebrate Queen Victoria's Jubilee in 1897 (Scott #28-30). 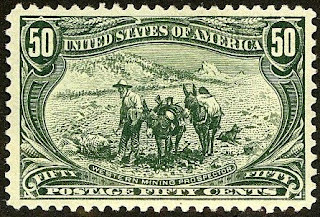 Only 9,120 sets were issued, and Scott '12 prices the unused set at $104.50 . These three stamps (1sh, 2sh, and 5sh) were pricey for the time, and while it is possible that some may have been purchased by well-heeled collectors, it is likely that many were used as postage to send heavy packages and then discarded. The set represents a conservative investment based solely upon the growth in interest in stamps of the British Commonwealth. Should a significant collecting population develop among Jamaicans, it's value will be given an added boost. An island nation with just under 3 million people, Jamaica is a mixed economy with both state enterprises and private sector businesses. Major sectors of the Jamaican economy include agriculture, mining, manufacturing, tourism, and financial and insurance services. Economic growth has been flat over the past 5 years, in part due to the recent global economic downturn. 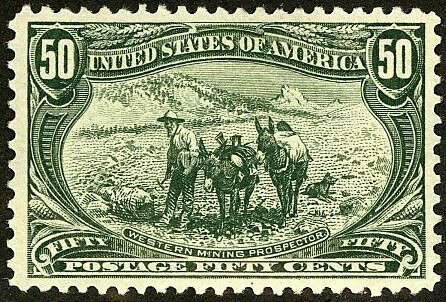 Information concerning printing quantities of stamps is often useful in determining which may turn out to be good investments. The StampSelector Scarce Stamp Quantities Issued List (SSSSQIL) currently includes over 9,700 listings of stamps and souvenir sheets with issuance quantities of 100,000 or less. One thing to watch for with these, and most other high face value BC issues of the era, is 'unused' stamps showing traces of cleaned fiscal cancels, as with the example shown above. They are worth *much* less than genuine unused or postally used stamps. That's a good point, and I suppose that I didn't catch the alteration because I used a scan of an ebay lot, which I didn't view carefully enough. The set is too inexpensive to warrant expertization, which would seem to be a negative, since there are some extremely sophisticated stamp "repair" people, especially in Germany, who can do a pretty convincing job of chemically removing cancels and regumming stamps. I've heard that some of them even have supplies of old gum, which they've soaked off of inexpensive stamps.